How to use Status bar in Excel? Status bar excel is at the bottom of the spreadsheet. Through status bar excel we can get a quick view of the count, the average, minimum, maximum or sum of selected cells. 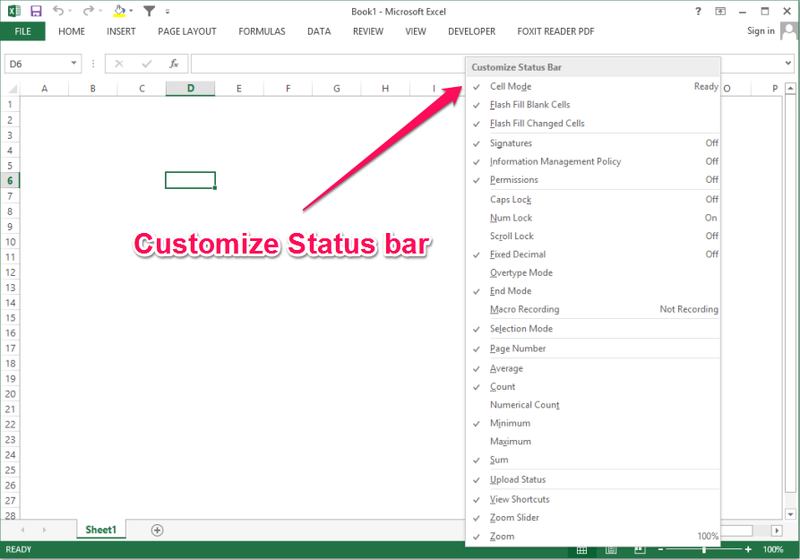 You can customize your status bar excel by right clicking on the status bar. The status bar usually shows zoom in and zoom out. You can zoom in and out of the spreadsheet. There are various tools in the status tool bar such as Caps Lock, Num Lock, Scroll Lock, Cell Mode, Signature, etc. Status bar is the same for MS Word and MS PowerPoint. 👉 How to Customize your Status bar excel? You can customize your status bar according to your needs. Like suppose in the video if Average, Count, Min, Max, Sum function needs to be displayed. If you cannot see this function in your status bar you need not worry about it. You can just right click on the status bar and click tick on the icons you want to see in the status bar. The default option that status bar shows are average, count and sum. AVERAGE: This function determines the average of the values included in the argument. It calculates the sum of the cells and then divides that value by the number of cells in the argument. COUNT: This function counts the number of cells with numerical data in the argument. This function is useful for quickly counting items in a cell range. SUM: This function adds all of the values of the cells in the argument. MINIMUM: This function determines the lowest cell value included in the argument. MAXIMUM: This function determines the highest cell value included in the argument. 👉 Example or How does it works? 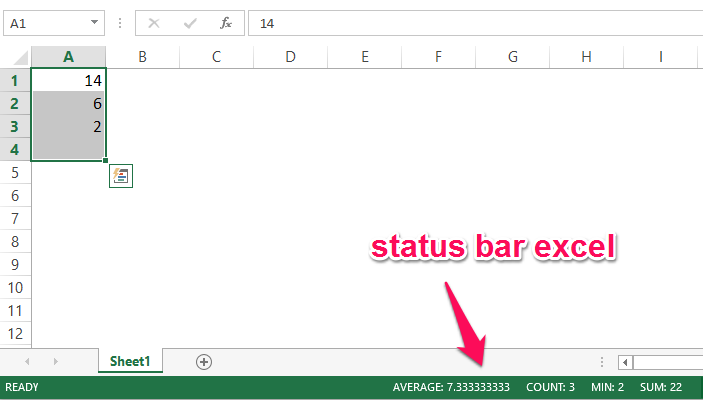 Status bar excel allows you to have a quick look at the average, count, minimum, maximum, and sum of the selected cells. Status bar excel runs horizontally at the bottom of the screen.